Mother’s Day is just around the corner. This day of celebration is a great opportunity to stop for a moment and consider the contributions of the wonderful Mums, step-Mums and carers in our lives. From giving the warmest hugs to cooking the best lasagne, everyone has a claim as to why their Mum is the best of the bunch! In our eyes, all Mums are superstars, but we must say, we’ve got some particularly talented parents in our team here at Trilogy Funds. On any given day Alison Lancaster, Head of Investor Relations and Distribution and proud mother to Ciaran (12) and Aimee (10), offers guidance, is a protector, is an educator and a role model… and that’s just within Trilogy’s walls! We can only imagine how valuable she is to her family at home. Negotiating a challenging corporate landscape while still helping our little people to grow into intelligent, thoughtful young adults is a herculean task – some might even say near impossible! In a moment of calm, we grabbed Alison and pestered her to share her secret – just how does she do it? Hi Alison, Happy Mother’s Day! Alison Lancaster (AL): Thank you! AL: I’ve worked in the finance industry for 20 years – both here in Australia and the UK – predominantly in investment banking. I joined Trilogy in 2016 and in my role as Head of Investor Relations and Distribution, I’m responsible for leading the performance of the Investor Relations team and Business Development Managers. I live in Brisbane and am mother to Ciaran and Aimee. How hard is it to juggle your working life with your family commitments? AL: It’s about finding balance. You have to be flexible in both your work and home life. When I’m at home, I want that time to be focused on my children. I’m fortunate to have the flexibility I need to perform my roles as both a parent and professional. Mums are mentors, role models and guides for their children. In an investment sense, do you have someone you turn to for advice? AL: I have a financial adviser that I turn to for professional financial advice. In my previous roles, I had investment bankers who offered me advice and support. It’s important to have someone to guide you on your journey towards financial freedom, stability and independence. 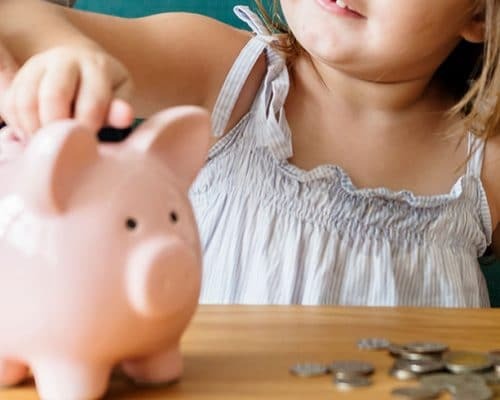 Now you have your own children, how important do you think financial education is? AL: Extremely important! It’s vital that everyone understands what they are investing in and the associated risks involved. Fortunately, the financial services industry has improved enormously in removing the jargon from their conversations with every day investors but there is still a way to go. What is the best piece of investment advice you have received or would give? AL: Know the ins and outs of your superannuation and take a long-term view to what financial success looks like for you and your family. Understand the risks associated with investing and ensure you’ve got adequate financial protection. What lessons do you hope to pass on to your children regarding the importance of investing? AL: Ciaran and Aimee already have their own bank accounts. We’ve worked together to ensure they’ve got a good education around the importance of saving and the role of interest. They get excited knowing how much they can earn from the regular practice of saving money. I’m sure they’ll want to learn more about investing as they get older. What qualities do you need to be a great Mum and a sound investor? AL: You have to be organised and a great multi-tasker! Also, really know your budget – and stick to it! Do you have an investment ‘bible’ we can share with our readers? AL: For some practical advice around getting your finances in order, I recommend Scott Pape’s The Barefoot Investor. Thanks for your time Alison and enjoy Mother’s Day!